In partner searches this is the question my firm clients often focus in on the most. 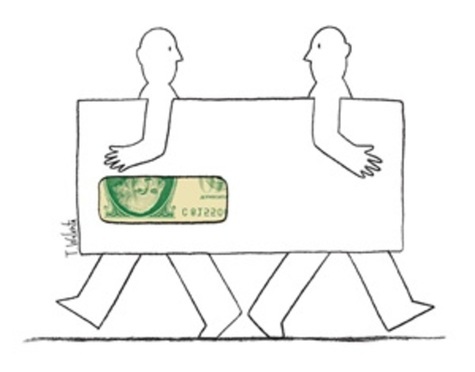 In the middle market, even large firms want their partners to originate business. The ability of a partner to bring a client following with them changes the whole complexion of the process; the more business you have, the more a firm will roll out the red carpet. But the fact of the matter is that no one knows whether their clients will come with them (because you can’t ask) or for that matter, whether the client that needed them last year will need them this year. It’s a stress inducing question. I get that. But it’s also a question that a prospective lateral has to answer before the process even begins. (This tends to be a less stressful question the more senior a partner gets). Fear not. The purpose of this article is to give some level of comfort to a prospective lateral partner when you’re asked this question. First, understand; we all get it. The headhunter gets it, my client firm gets it. Until you give notice you can’t ask your clients if they’ll come with you. Your biggest clients last year may not even need you this year, even if they do come with you. But we’re still going to ask. And we need an answer. That number may change during the process, but we still need to hear that number. Second, in terms of understanding the process, there is a document that lateral partners are asked to fill out near the end of the process called an LPQ (lateral partner questionnaire). Most firms have their own, and I have some for those that don’t. Beyond the usual due diligence questions, the purpose of the LPQ is to take you through the last three years of billing, to give a sense of billing of attorney and working attorney revenue. Chances are that whatever your pace of originations was, it will continue (and hopefully increase) the next year. And let’s be clear, finding a place where you’ll be more successful in attracting and retaining clients is usually one of the most important motivating factors in considering a move. And third, there may be some surprises in what clients will come with you (pleasant and unpleasant). Just because your current firm attaches origination credit to a particular lawyer doesn’t mean the client sees it that way. If you’re the primary point of contact for work, and they reach out to you even for work that’s outside of your wheelhouse of expertise, that may very well be your client. I remember reading an article about an associate in a major Chicago firm back in the 1990s that didn’t make partner, and ended up taking over $2 million in business with her. But of course you won’t know until you give notice. It is only then that you can ask. That initial 24 to 48 hours can be critical, and where the services of an experienced headhunter becomes important. There are certain things you can and can’t do. Giving notice relieves you of some (but not all) of your fiduciary responsibilities to your (soon to be former) firm. At that point you can reach out to clients and ask them to come with you. This is where the process can get a little contentious. Your (soon to be former) firm may insist that a particular protocol be followed, one that is designed to reduce the portability of your practice. Withholding capital accounts can come into play. Knowing what’s in play, such as the terms of your partnership agreement, can be critical. I often use a scene in the movie “Jerry McGuire” as an example when discussing this with lateral prospects, where Bob Sugar is firing Jerry, and Jerry isn’t prepared. Obviously it’s a movie and overly dramatized, but Bob Sugar is prepared and Jerry is not, and as a result Bob takes almost all of Jerry’s clients. It’s important to make sure you’re in control at the point where you give notice so that your clients can make an informed decision whether to come with you. So yes, when a headhunter calls with an opportunity you might be interested in, we’re going to ask. Don’t worry, you’re not etching that number in stone. And we know that.